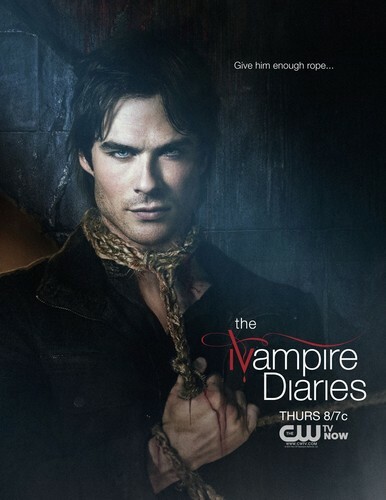 The Vampire Diaries February Sweeps Poster (Season 4). February Sweeps poster. HD Wallpaper and background images in the The Vampire Diaries club tagged: season 4 poster damon. What is the deal with the rope? Is he going to kill himself to save Elena? How many times does that girl need saving?! Wow he is really Hot, but hate that hoe he dating. What's the deal with the rope?? Is he going to dye? ?